Jaguar has always been synonymous with the essence of being a man. Jaguar's body spray for men are for a man of charm and confidence, who wears his aura on his sleeve. This classic black fragrance from Jaguar not only looks elegant in the bottle, but the gorgeous notes also reflect a part of your powerful personality, and becomes one with you. 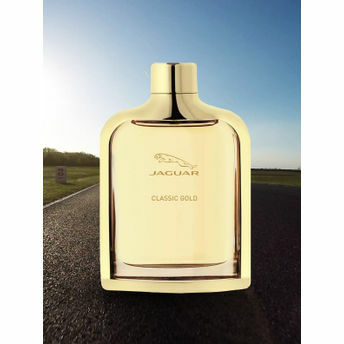 Jaguar Classic Gold EDT Spray contains top notes of apple, bergamot, and lime, with mid notes of fresh, fruity, and floral combined in the form of teak wood and orange blossom, enveloped in the base notes of musk, vanilla, and patchoulli. Spray it on for that meeting, or just a casual brunch, or even that sophisticated evening event, Jaguar is your best friend in every situation. Jaguar Classic Red EDT Spray contains top notes of bergamot, raspberry, and blueberry, with mid notes of jasmine, ozone, and pepper, enveloped in the base notes of amber, tonka, cedar, wake passion, vanilla, and patchoulli's hot and creamy blend. Johnson?s understands that as your child grows, their hair also changes and needs its very own special care. That?s why Johnson?s Active Kids Clean & Fresh shampoo has been specially designed to tackle sweaty, smelly, rough & tangled hair ensuring long lasting freshness . This mild, easy lather and non-irritating formula is uniquely infused with Active Fresh Technology to help prevent sweat turning smelly while it deeply cleanses hair & scalp, so your child stays fresh and smells irresistible even after playtime! Johnson's understands that as your child grows, their hair also changes and needs its very own special care. Even though your little one is active, her hair is still delicate and more prone to damage compared to an adult?s hair. It is likely to become sweaty, smelly, rough & tangled due to oil, dirt, & sweat, especially during play time. The ?Soft & Smooth? shampoo as part of Johnson's Active Kids shampoo range contains natural honey and wheat extract, so your little one?s hair stays more manageable and easy to comb! We love babies. And we understand baby?s delicate skin needs extra moisture to protect it from dryness, so it stays baby soft always. That?s why we have designed JOHNSON?S ? BABY CREAM with intensive 24-hour moisture. It?s fast absorbing formula contains rich emollients that help moisturize and preserve skin?s natural softness to protect your baby from chapped knees, rubbed elbows and tender noses. Studies show that enjoyable and familiar scents have been proven to improve mood, calmness and alertness. A mother?s loving touch and Johnson's Baby Cream?s mild fragrance can help in awakening your little one?s senses to make her feel fresh and help in her growth. Intensive 24 hour moisture to protect from dryness. Clinically proven mild helping in ensuring no irritation# to your baby?s delicate skin. Suitable for chapped cheeks, crawler's knee, tender noses and rubbed elbows.